Alun travelled to the University of Warwick in November to speak at the fourth annual International Invasive Weed Conference. You may be forgiven for never having heard of such a conference, but it should be remembered that invasive weeds are often the bane of the property industry. 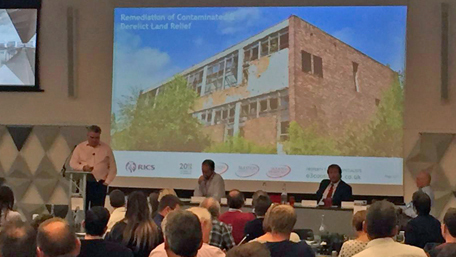 Alun, who spoke on land remediation tax relief and Japanese knotweed, was among a host of expert speakers who addressed best practice for the identification, assessment and response to invasive weeds. Delegates comprised PCA members, contractors, surveyors, lawyers, public authorities and academics, who received valuable insights across a range of topics. Also in November Alun ran a session as part of the University of Portsmouth's CPD _ Construction and Property Taxation – programme at Hockley Golf Club, Twyford, dealing with various commercial property taxation issues.